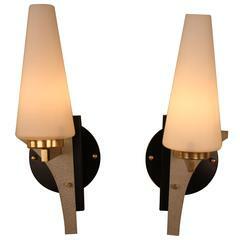 This pair of French wall sconces were made in the 1950s of bronze and cream color lacquer and Opaline glass shades. 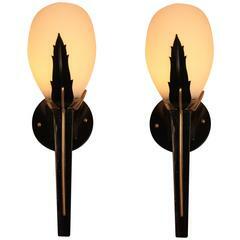 A pair of single light Mid-Century French wall sconces with cone glass shades. Frames are black lacquered, bronze and aluminium. 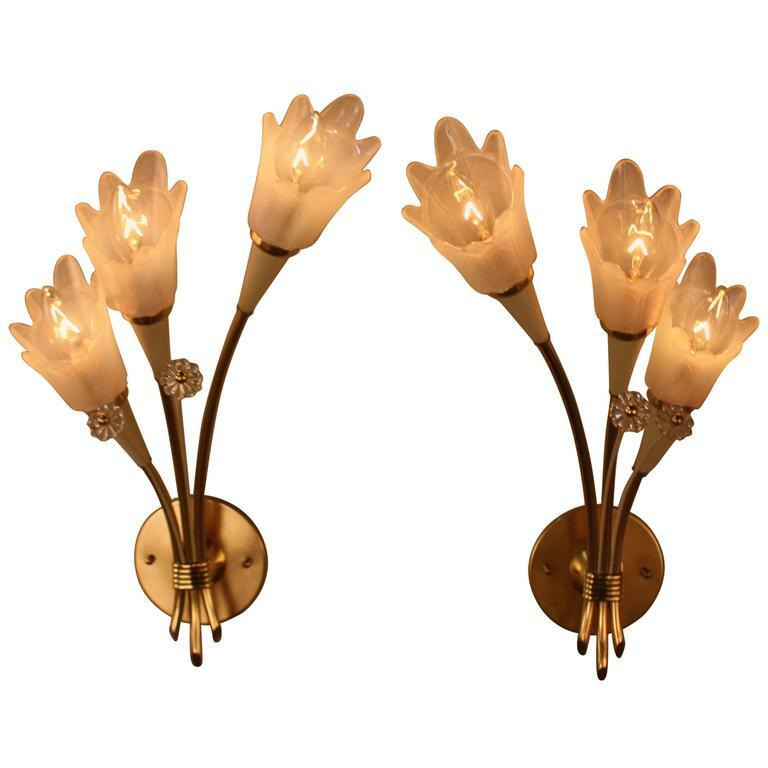 Elegant half-tulip design wall sconces. Bronze frame that is surrounded with faceted crystal. 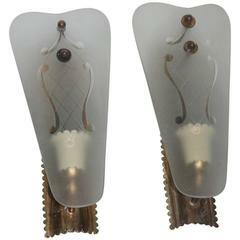 Pair of combination of handcrafted and machine made wall sconces. Black lacquer over bronze with golden bronze accent. 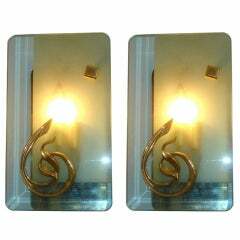 Pair of 1960's American brass and glass wall sconces, originally found in a resort hotel in Carmel, Ca. There are two pairs available. Price provided is per pair. 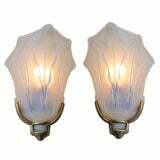 A Pair of Elegant Italian, Frosted and Clear Murano Glass Sconces with Bronze Base and Accents. Extremely Chic! Pair of Sconces from France, c 1920’s. Brass and Opaline Glass. Leaf Motif on original glass shades. 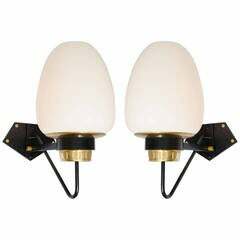 Pair of wall sconces Mid-Century Italian sconces. 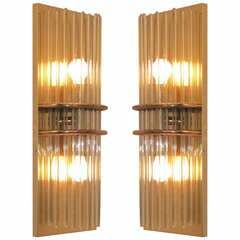 A rare pair of bronze and glass wall sconces by A. Brotto for Esperia, Italy, circa 1960. Decorative art at its best for the 20th century. 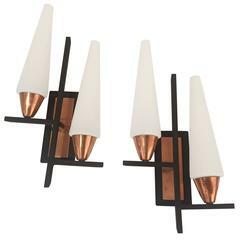 The opaline glass diffusers shades rest on a brass saucer shaped holders and black metal frame. 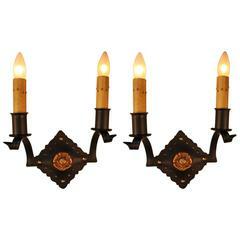 The wall sconces can be used internally and externally. There are three pairs available.